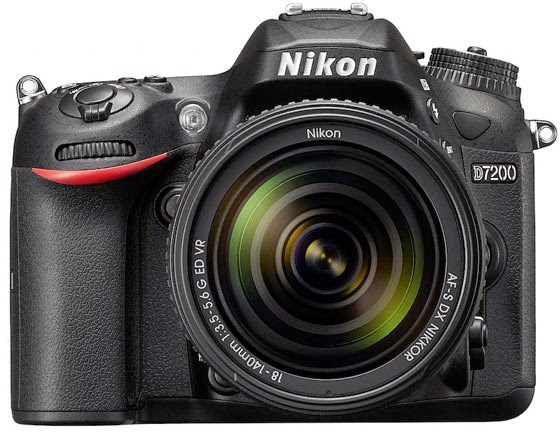 Nikon has announced a successor to its popular D7100, the D7200 SLR. The new camera sports a 24.2MP DX CMOS sensor without optical low-pass filter, EXPEED 4 image processor, new 51-point AF system, 3.2" 1.2M-dot fixed LCD, built-in Wi-Fi and NFC. The D7200 can record Full HD 1080p video at up to 60fps and still images in burst shooting mode at up to 6fps. The camera will be available in April for $1699.95 (with 18-140mm lens kit) or $1199.95 (body only). For the complete list of compatible parts, please see Nikon D7200 accessories.